21 Ways to Increase Facebook Likes:- When social media emerged as a business marketing tool, there were very limited social networks in the market, most of which were Facebook, Twitter, and Linkedin. But nowadays there are so many networks like Pinterest, Instagram, etc. e.t.c. But with 1.3 billion users, Facebook is still like a social platform that you can not even ignore. In the last 5 salons, Facebook has brought considerable changes in its algorithm. The fastest way to make your Facebook page popular today is advertising. All those people who want to get their Facebook profile as quickly as possible are putting money. This is done by the “Boost post” button given by Facebook. But it is not necessary that you can not promote Facebook without paying money. You can also organize your Facebook profile too. Yes, this approach is a little long-term and also demands patience, but it is absolutely free too. 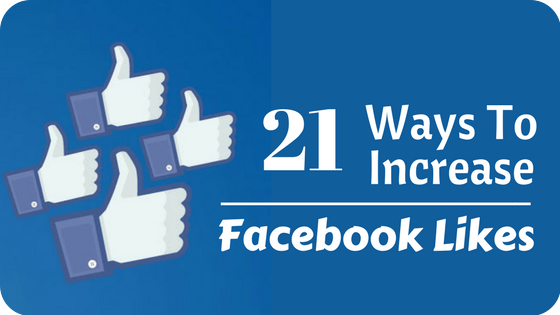 So let us know about 21 tips that will bring engagement along with your Facebook page as well. 1. Set your target audience, until these will not work, you will not be able to grow and all your efforts will be lost. 2. Do not worry about the hashtags. Hashtags are for Twitter or Instagram. Hashtags on Facebook will not give you any big benefits. 3. Friends, if you think that you will continue to post only about yourself and people like it, then this is wrong. Use the 80/20 rule here. Share the posts of 80% others, and share 20% of your posts. 4. Make around 15 posts per day on your page. This will keep your page active and if you have less then posting it, again and again, will also grow it. 5. Do not think that it is compulsory to buy a paid device to promote your brand on Facebook. You can also promote your profile without these tools, so if your budget is tight then do not buy these tools. 6. Get Facebook traffic on Facebook only. Share videos, share images. 7. Interact with your followers. Whenever you comment on your post, like their comments, and reply to it if you need it. People like brands that interact with them. 8. Organize the contest on your Facebook page. This will give you user-generated content. And engagement on your page will also increase. 9. If you have a list of email subscribers, you can send them a request to Like this Facebook page in the mail. These people will be quite effective if they are known to you. But usually, in order to bring results, you will have to do some incentive offer in return. 10. Do not forget to place Facebook Like button on your website or blog. This will allow your website visitors to write your Facebook page very easily. 11. Create and share attractive images. Maybe you do not get the job of designing so well, you can also get help with social media graphics designing tools where you will find very good templates for Facebook, you just have to do customization. 12. Insert different types of posts and test them. Always add the same type of post and will not be able to grow Experiment and then see what are your fans like? 13. Bring creativity into your posts. Boring posts or boring posts will not have any Like or share the page. Never create images then the video, then the latest news or the inspirational quote, make the balance of all of them. 14. Ask questions from your followers, take advice from them. In this way, you will get the most comments and engagement. And the more engagement, the more chances your opportunities are to grow. 15. 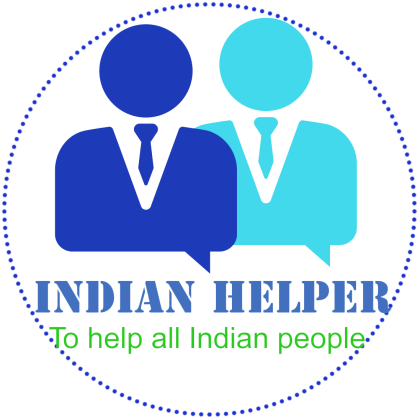 Invite your Facebook friends to this page Like. And I do not know who I do not know, Facebook also provides a button for which you can use. 16. Reuse your old content which has not been posted for a long time. I am not saying that posting the same post multiple times a day but you can use this approach every few months. 17. Get an idea of when your audience lives most online. Facebook keeps collecting a lot of statistics from different pages. You can also go to your post section and see in the graph how your pages live online. 18. Post at the right time. According to Buffer, the highest share on the Facebook post is 1.00pm and most clicks are at 3 pm. Posting at such a time, we get the best results. 19. Whenever you want to do some tests or want to post a special post, please do it on Thursday or Friday, because these 2 days get the highest engagement. 20. Remove your competitor Facebook pages, and analyze them. See what kind of content they are posting, what time is posting, etc. 21. Connect your other social media accounts to the Facebook page. A lot of people have more social media than the following other social networks. Doing so, people from other networks will also be encouraged to like the Facebook page. 22. Share your Facebook updates in other social media networks, email broadcasts as well. This will improve traffic on your page. These were some of my tips guys if you also have a tip that helps increase the likes on the Facebook page, share it in comments.